Birch Alley is a "custom order", 3 x 4 foot mixed media collage on canvas that I just finished and is ready for framing! Colors include; black, white, turquiose, silver, green and yellow. To create this piece, I first started with a blank canvas, then covered it entirely with textured black paper for a back drop. 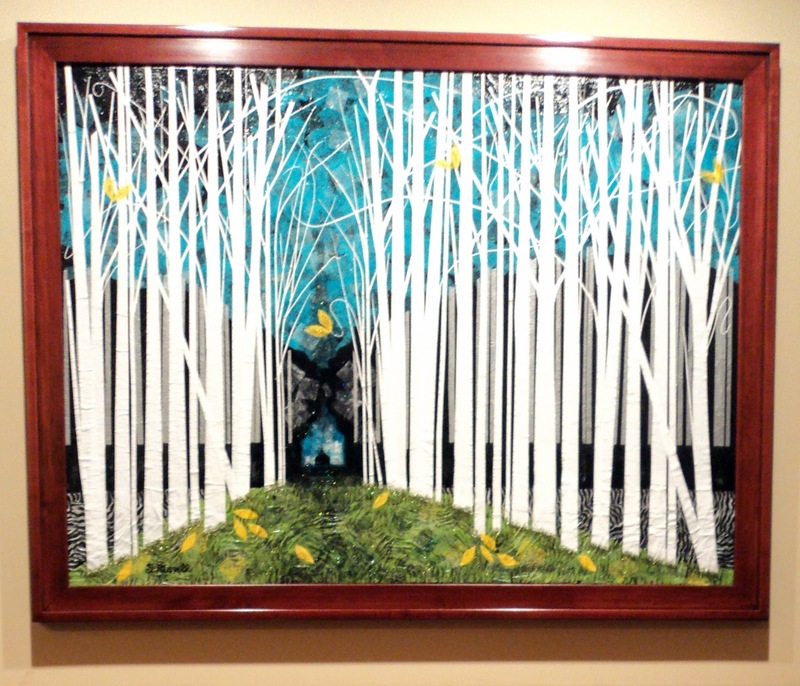 I then added multiple layers of paper for clouds, back layer of silver trees, ground cover, green grass, alley, white birch trees, whisping branches, yellow leaves and multiple colors of glitter. I then sealed the completed piece with a UV protectant. This project was time consuming due to the many many layers of paper and sealant required for this canvas size, but fun to create as well! I used string to create a 9 section grid so that I could maintain proper scale and composition while adding the layers of paper - The grid worked well for me and I will use it again on future large canvas pieces. 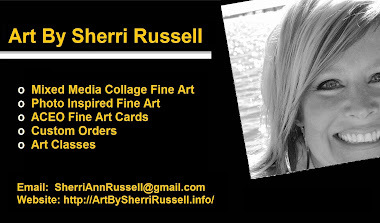 Email me at sherriannrussell@gmail.com for more information and availability.